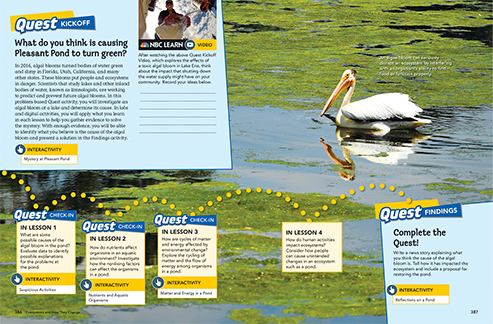 Plot an ocean journey, build a machine, or investigate an algae bloom! In Elevate Science, students engage with real-world phenomena to understand core ideas and use science and engineering practices. 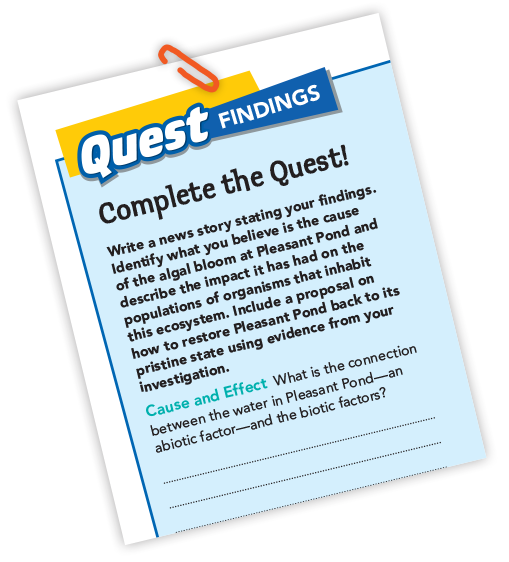 The Quest problem-based activity anchors each topic. 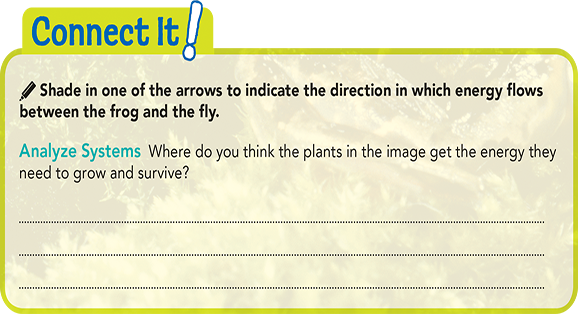 Students “figure out” the problem’s solution as they navigate the topic’s lessons. It’s real science rooted in the new Science Standards. It’s compelling science that puzzles, tantalizes, and amazes. elevate thinking, elevate learning. PHENOMENAL SCIENCE FOR MIDDLE GRADES! Phenomena-based learning engages students in real-world problems and the new Science Standards. There’s not a quick answer. 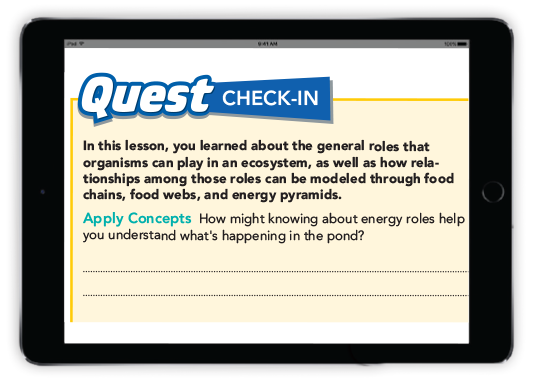 Quest Connections encourage students to explain, observe, and keep figuring things out. The Quest phenomenon connects learning.